How did you find out about the SCA? The short version: I heard about Pennsic first through a friend’s dad when I was in high school after a D&D game. Over college and just after I would be reminded about it here and there, and finally after meeting a former Society officer online, I took the plunge to join after moving to Misty Highlands. Where did you start, what was your first event? I joined in Misty Highlands, where I still am now, and my first event was White Hart in 2011, which was a perfectly-sized event for a first-timer. My persona’s name, is a later period Spanish, although I can’t say I stick too faithfully to that era just yet; that’s a goal for down the road, though! Why did you pick this persona? It was between Russian and Spanish for me, having studied the language of both countries, but I knew more about Spanish, so I decided to roll with that. Do you have any group or household affiliations? I’m a member of House Sable Maul, and I’m proud to say that, as it’s been a place full of supportive and kind people, for both SCA and modern life! Tell us a little bit about your life outside the SCA. By day, I am a weekend anchor and reporter for a TV station in West Virginia, and by night, I either am going to the gym or I go to a weekly tabletop game night with friends at a local library. 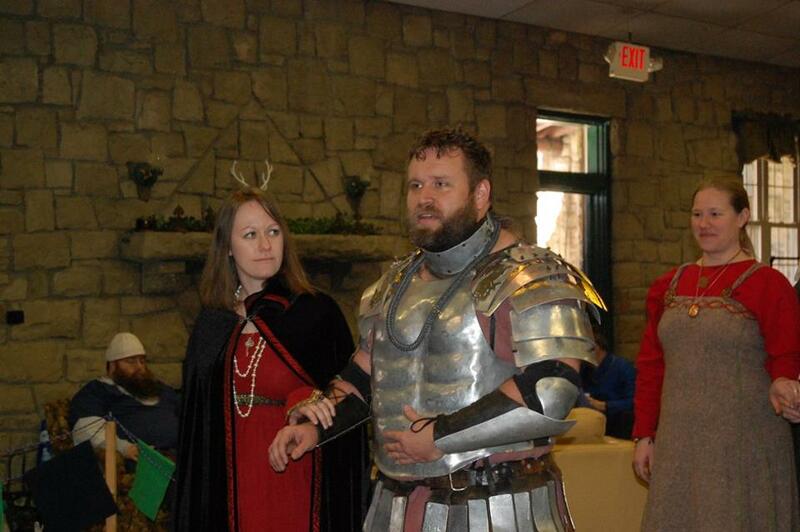 What SCA activities do you or have you participated in? Probably my “biggest” job was standing as Jewel of Æthelmearc Herald for Their Majesties during Their first reign, a role I am very happy to be filling again for Their second reign. 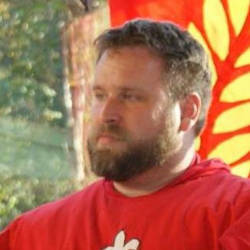 I volunteer at Pennsic as the media liaison for War, and I am also the Kingdom Media Liaison. I have been the deputy to the Kingdom Chatelaine, and locally I’ve served as seneschal and chatelaine in Misty Highlands and am currently the Shire herald as well. When you started in the SCA what goals did you have? Join the SCA! It had taken me so long to find the group and join, that I just wanted to test the waters! I grew up in Hunter’s Home, but could never connect with people there, through my own fault, so when I finally had the chance I was just happy to be present. I have a lot I want to do. Find more time to practice heavy combat for sure, but I also hope to get into thrown weapons more, as well as finally pick up one of the myriad of arts I’ve been waffling between to start practicing! 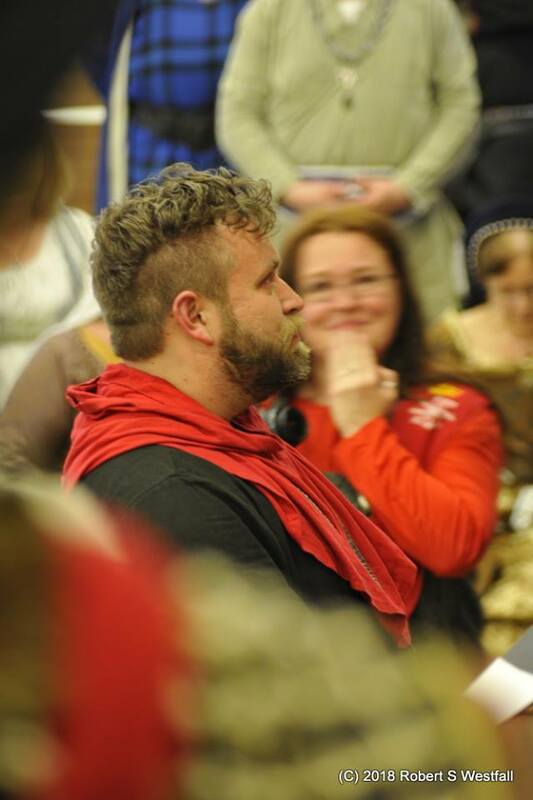 What was the most intimidating thing you encountered in the SCA? I am blessed with something of the gift of gab, so talking to people isn’t that hard, but figuring out just HOW to approach them in the context of SCA “rules” was difficult, and therefore so was getting involved with things beyond my local group. Heralding was the first non-combat activity that was interesting to me, and thankfully, I was very kindly welcomed at an early event by His Excellency Brandubh, who was Silver Buccle at the time, and who I credit with starting my journey in that realm. There’s also a time factor. Upon returning to White Hart for the second time, I suddenly discovered that I knew more people around the kingdom than I thought I did, which suddenly makes things a lot more comfortable. What advice would you give to a new person in the SCA, or if new yourself what question would you ask and who would you ask it of? Don’t be afraid to ask questions and talk to people. Find someone, hopefully local, to be a guide of sorts and help you answer the many questions that will inevitably come up. And remember if nothing else, the golden rule works in the SCA just as well: be kind and willing to learn, and the society will open itself up to you. If you magically woke up with an SCA talent you do not already have, what would it be? It would be hard to pick one, because I enjoy too many things. But regardless, I want it to be something that I can share with people in some fashion, whether its becoming a skilled fighter or learning one of the particular arts that interest me, because one thing I have most enjoyed is watching people find their talent and their way in the SCA. Don’t be modest, what award or honor would you like to receive above all else and why? The honor for me is in paying it forward and helping other people find the great parts of the society like I have. That having been said, I certainly have goals and awards I’d like to reach, but I’ll work towards those as much as possible, and will wait for them to come when I’ve earned them! Participate now – find out how!